The Schacht Co. Easel Weaver is a handy I-loom designed for on-the-go weaving, creative projects, and classroom settings. 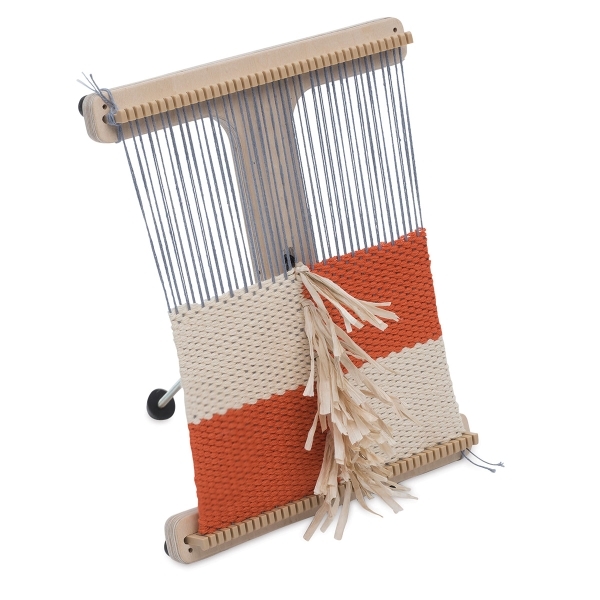 Made of quality maple plywood, it features sturdy, non-slip plastic warp teeth and non-slip rubber feet to keep the loom in place while you're warping and weaving. The warp can be set at either six or 12 ends per inch. Whether you're weaving a mini tapestry, a bracelet, or other small piece of fabric, the Easel Weaver is easy to use while warping and a pleasure to weave on. The adjustable kickstand allows you to weave at a comfortable angle, and can be folded flat into the center brace or extended for display. 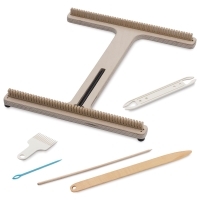 The easel has a weaving width of 10" and is 12-1/3"H x 1-1/4"D. Some assembly is required.